Cute vector bird on a decorative tree branch singing with a stream of love hearts coming from its mouth. Coffee shop or greeting card style graphics that will look great in a spring design. Free download to use in your nature themes, cartoon scenes and romantic designs. This illustration is also original footage for your Twitter and Valentine’s Day designs. 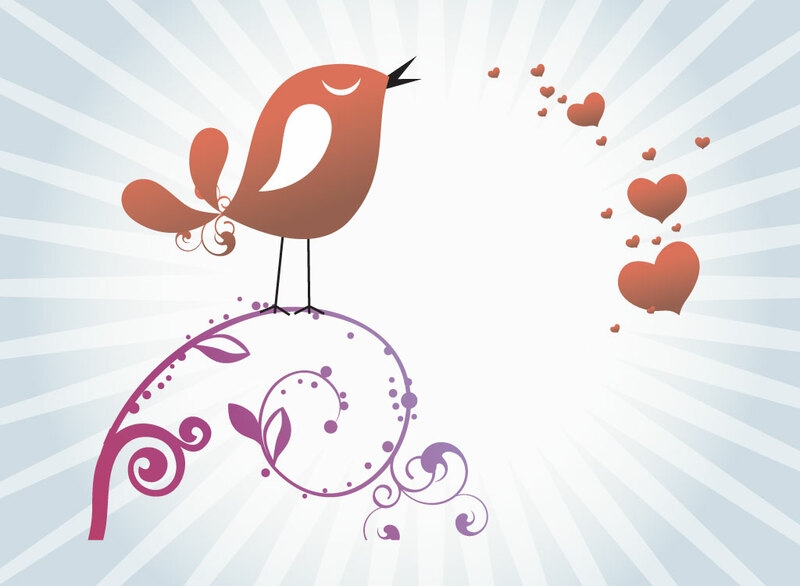 Tags: Bird Vector, Branch, Love, Romance, Scroll, Singing, Tweet, Twitter.